Private parking lot. Complimentary valet parking. AAA Four Diamond restaurant located at the Virginia Beach oceanfront, Zoës originally opened in 2003, and re-opened under new ownership on March 16, 2009. 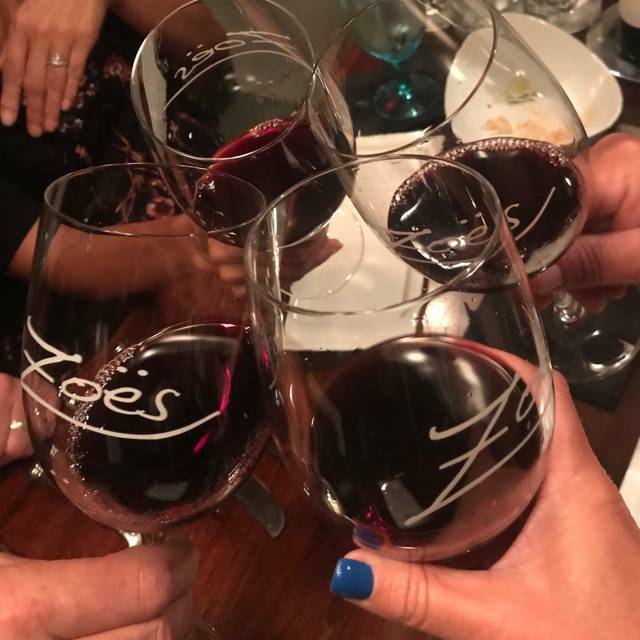 Renowned sommelier Marc Sauter, as well as devoted restaurant goers Bill and Joni Greene, to continue the Zoës legacy with the same great location, friendly staff, soothing ambience, and award-winning food and spirits. Reservations are recommended but walk-ins are always welcome. Sundays are reserved for private parties and Zoës Special Events. Zoës is a completely non-smoking establishment. Took a business customer to dinner, great food and participated in the Tuesday 1/2 price on Wine, what a nice bargain...highly recommend this establishment for food, location and great service. Could not ask for a better experience. Service, food, sommelier fantastic! We were greeted with enthusiasm and promptly seated. The waiter greeted us and handed us our menus and then disappeared. We had questions concerning the wine menu. It seemed to us a confusing affair the whole dinner, with different servers. This is the first time we had an average evening in 12 years dining there. The four of us ordered the fried oyster appetizer special (which our server described in detail), a Caesar salad and a beet salad which each couple planned to share, and 3 of us had the beef tenderloin while one had a different steak selection. 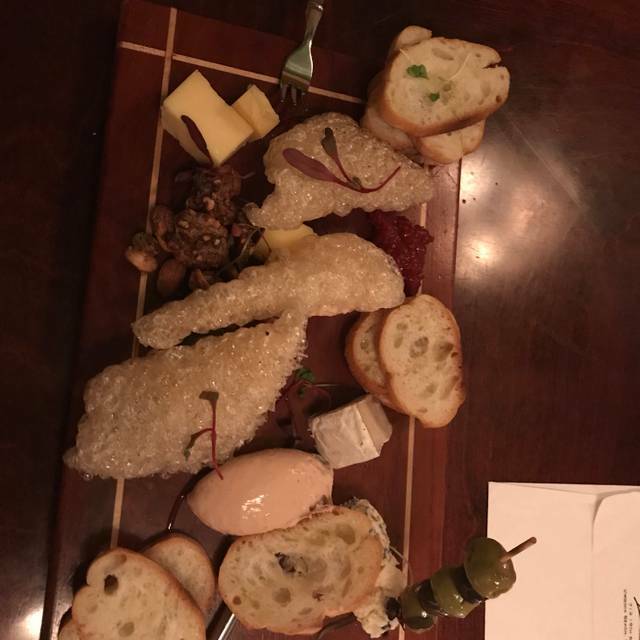 The appetizer which was delivered was a plate of raw oysters. The server came to the table to check on us and we told him that was not what we had ordered. He agreed and took it away. A little while later, we again received a plate of raw oysters. We again told the server that we had ordered the fried oyster special, not the raw oysters. He appeared puzzled at our comment and a bit put out, but did remove it and we finally received the correct appetizer. After a reasonable wait, the steaks were delivered next. We never got the salads. The redeeming feature of the night was that both the oysters and the steaks were delicious. 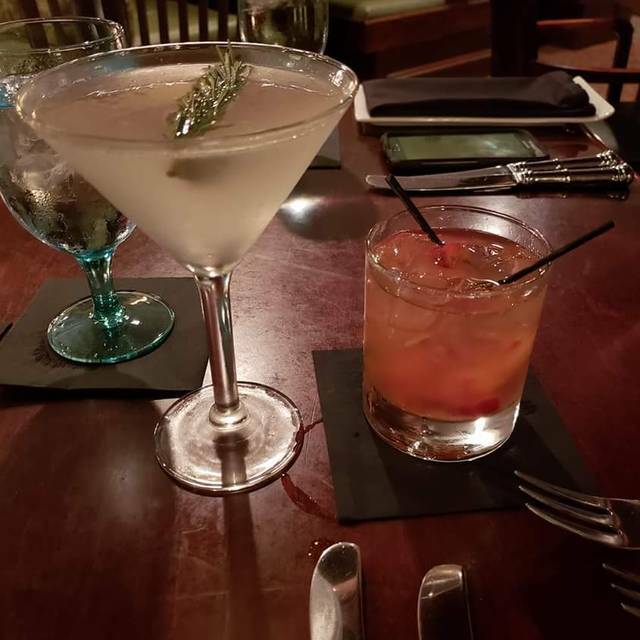 This restaurant is on the pricey end, even by VA Beach standards, and we were surprised that the service was so unsatisfactory. My husband and I had eaten at Zoes several years ago but our friends had never been. We were embarrassed that we had recommended an expensive restaurant and had a less than wonderful experience. Went for my sister's birthday. We had a wonderful time. Staff was great. Ambience was nice. Good was excellent. 5 starts for the truffle fries. Highly recommended. Every bit of food and drink was excellent. Music was very light “watercolors” type in the special events room. Not bad, just lulled me to sleep a bit. Service was excellent and the food was amazing. Best place in Va Beach for steak, wine and a good time!!! First time to Zoe’s. Great service and atmosphere. Food was excellent. Very attentive waiter. Great atmosphere. Overall we were very pleased with our experience. Will definitely be back again. Zoe’s is Hampton Roads finest restaurant! The food is Amazing! The staff is EXTREMELY knowledgeable and professional! Zoe’s is simply The Best!!! Amazing as always! Food is delicious and lots of great reasonably priced wine selections! Zoe’s consistency makes them one of my go to favs! 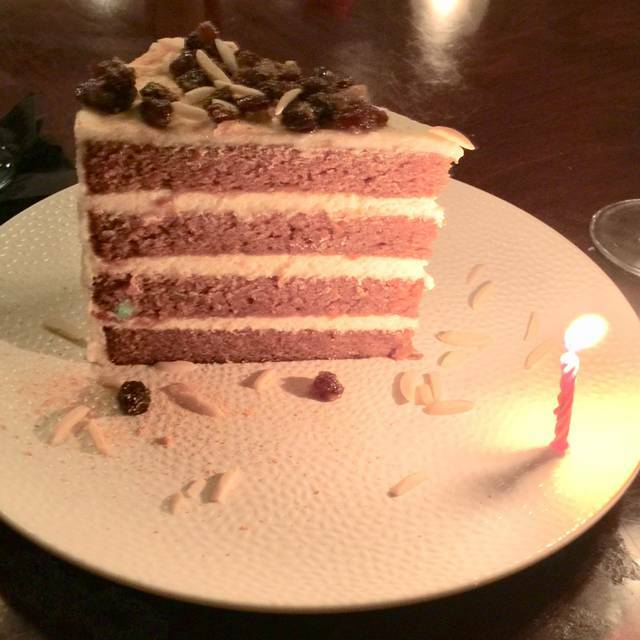 It was a night for celebrating a birthday. Zoe's was kind enough to allow me to bring flowers early to be placed on the table. When we arrived, there was a birthday card from Zoe's. The service was excellent. The meal was cooked to perfection. Altogether a wonderful evening. Zoes is a great date night restaurant. The service was fabulous, all employees were extremely friendly and wanted to make sure we were taken care of. The Waiter was very knowledgeable and gave us recommendations on what to eat and they did not disappoint. The food was absolutely fantastic it arrived in a timely manner and was prepared exactly how we ordered it. Overall my girlfriend and I loved Zoes and will be dining here in the near future. My wife and I love Zoes. We have enjoyed many special occasions there by ourselves and with family and friends. Also have entertained many of my business associate over the years! Always amazed at Marc’s vast knowledge of wines! Congrats on your 10 year anniversary and looking forward to enjoying fine dining over the next 10 year and celebrating many more special occasions! Awesome experience all around! We’ll keep coming back! Used to get great steaks here last year....not sure if it was because of restaurant week or what but, the steaks were very fatty and kind of tough. Salads were tiny and too chic for a chop house....also the Cesar salad was very anchovies tasting and smelling and very salty. They had no wild caught seafood and the farm raised salmon dinner was tiny. Not a great value as I remember it being in year's past. Fantastic service, Food and Wine. Took advantage of restaurant week special and even though the restaurant was extremely busy service was outstanding. 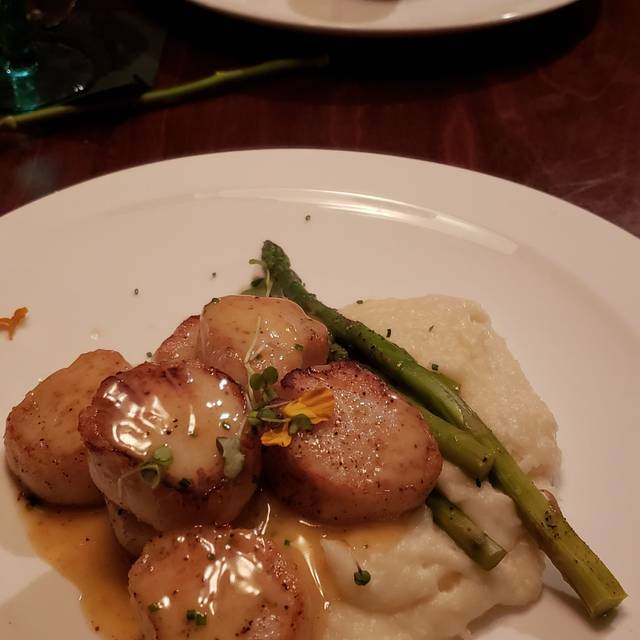 My husband and I came in for restaurant week for a new experience and really enjoyed Zoe’s. We will definitely be returning. Great place! Loved everything and our waiter Matt ? was terrific!! This was definitely overrated. Food was not very tasty and for Restaurant Week, they must have halved portions. We won't be going back. We had a wonderful meal! The lamb and New York strip were done perfectly. Service was excellent! My husband and I went to Zoes on our first date night in a long time. It did not disappoint! We splurged for my husband to have the wagu tenderloin and I had the filet. Both were amazing!! The food was well worth the cost and the service was outstanding! Had an amazing experience on Valentine’s Day. The food was amazing, but even better was the personable service. Would highly recommend for special occasions. 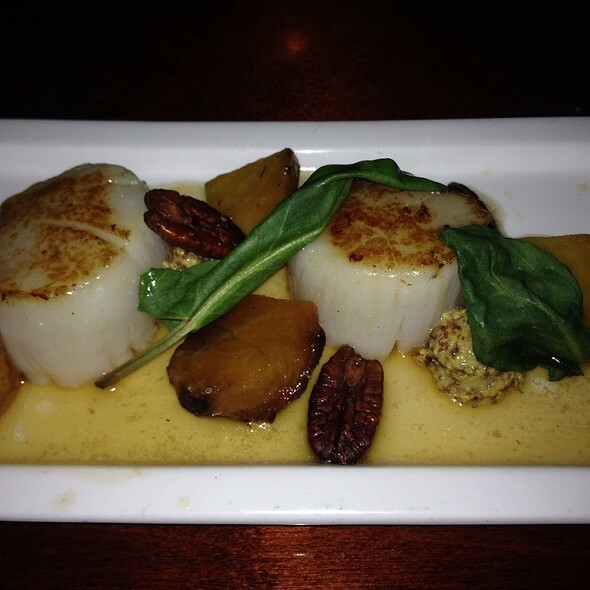 Top-notch service, exceptional food, and great wine selection. Perfect date night location that will surely impress. Excellent food. Wine choices were plentiful. A great spot! We have been to Zoe’s for our anniversary and a birthday. We absolutely love it! The food is amazing as always. The service is beyond compare. From the time we pulled up and the valet led us in, to the servers who catered to our every want and need, to our boxed leftovers being carried to the car and our car right at the door before we walked out. Truly top notch. When you dine here, you are not just a table to push out, you are a valued guest in their home. 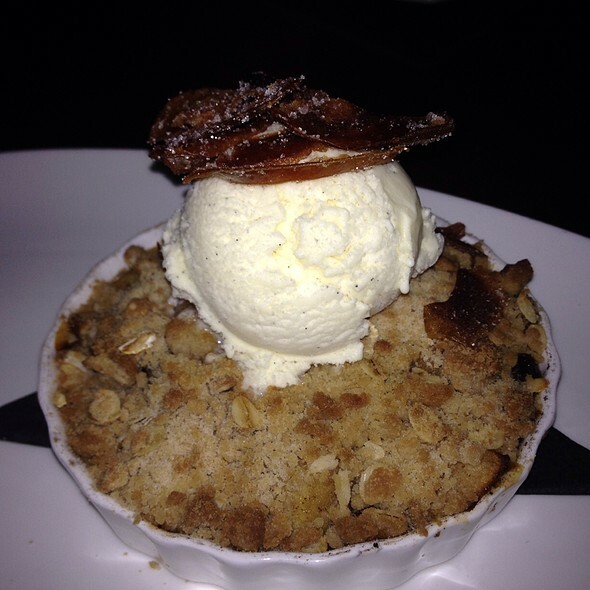 We prefer this so much more than Ruth Chris steak house now! Music choice was interesting. Colorful lyrics did not match the otherwise elegant atmosphere of the restaurant. We had the wine selection per course selected by the sommelier. What fun! Food and wine were most delicious. Very good food. Good selection. Accommodated us with a more private table after refusing their table selection for us. Vegetables a little too al dente for my taste (it was taken off my check which was what I didn’t want to happen). My daughter and I would return to eat here. 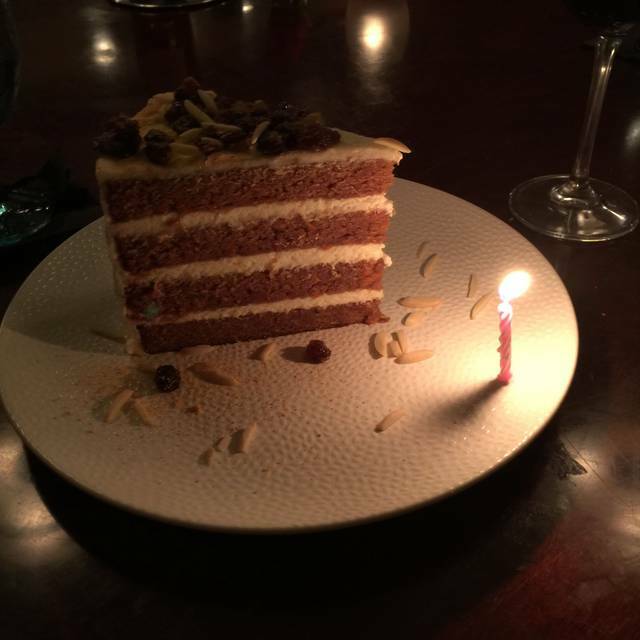 We celebrated our 25th anniversary at Zoe’s. We are locals and this was a first time at this hidden gem. The Wagyu steak was amazing! Matt was very pleasant and enjoyable. Well with the money! Good meal for Date Night, a little overpriced for what is was but a good night. Would and will go back. Service was very good. Atmosphere is tired, and in desperate need of updating. The steaks were very good. The sides, blah. The wine list is remarkable! With MAJOR markup. Our server was outstanding. The best we've had in the area. Will we revisit. Highly doubtful. New Year’s Eve. Everything about the evening was wonderful, thank you for a delightful evening. Great! The meal was expensive but it was a special event. The portions were great. The food was cooked very good. I would go back to try their regular menu. The building is not pleasant looking from the outside. But inside it’s nice. We went for New Year's Eve and were NOT aware that the prix fixe menu was the only menu available. And they did not allow sharing. So, we were surprised. 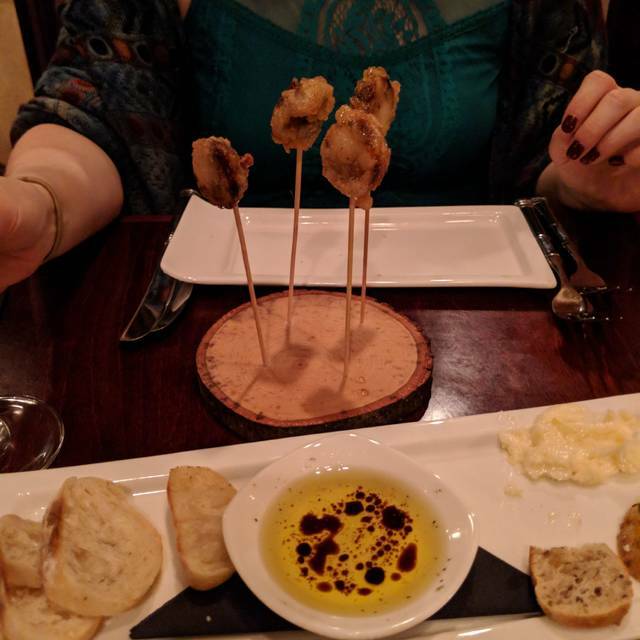 The food was great; they had beautiful selections; but we were not looking for that type experience nor were we looking to spend $200 + per person for dinner. The food here is great; I would suggest when you reserve you do it over the phone and ask questions. I liked that the valet knew that we were arriving for our reservation (even though we were a bit early) and I especially appreciated that he knew we were leaving and had our car at the front door warned up for us. The food was delicious! The decor and ambiance reminded me of old style smoking/dining clubs, which I like. Zoes Steak and Seafood provided a 5-star 3-course meal, paired with exquisite wine selections for each course. The in-house sommelier spoke about why the particular wine was chosen for each course while also asking what our preferences were in wine selections. The food came out perfectly prepared and matched the wine selection to a tee with each dish. Surprisingly, the food came out quick. There was enough time for my wife and me to chat but also no time to waste as the food was served to us promptly. We loved it! The only downside to this place is the price, so come ready to spend hundreds. But, for us, this was well worth every penny. It will definitely be a very special occasion spot for us from now on. Best steak I have ever had! All of the food was delicious! Our server Kennedy was absolutely wonderful! The entire staff was very attentive. I cannot say enough good things about this restaurant!